In his internationally acclaimed, award-winning book, Living Shells, Dr. Rawlings introduced his readers to the amazing world of living seashells. 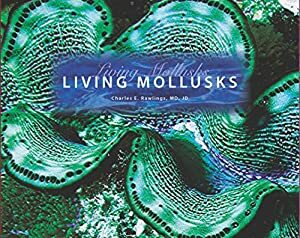 In Living Mollusks, Dr. Rawlings, once again, propels the reader into the fascinating world of the living seashell and even beyond. Everyone knows what a mollusk is, what a seashell is...or do they? Most people know mollusks either as some slimy, slug-like creature, or as a menu delicacy such as clams or oysters. Most people know what a seashell is based upon their experience as a child collecting shells on the beach. These shells, however, are but pale remnants, ghostly reminders of the grandeur that the living animals possess. In fact, some of the most beautiful, most fascinating mollusks, leave no shell, no trace, no remnant of their existence to be found by an early-morning beachcomber. They are ethereal creatures, they leave no trace of their lives for us. These are just some of the terms that can be used to articulate the benefits of fabric painting. share fun and quality time with your kids. And fabric painting is easy to do - you don’t need any special talent or qualification to create colourful and unique designs on clothing and other fabric items. 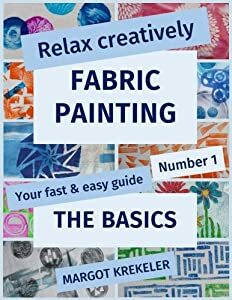 This book, The Basics, is the first in a series of guide books I have written to help you quickly and easily access the techniques involved in fabric painting. It contains all information a beginner needs to get started. ‘Part One: Practising fabric painting’ is a practical introduction to fabric painting. You work on some example projects so you actively get to know the fabric-painting techniques. In ‘Part Two: The components of fabric painting’, I give you the necessary basic information about the main components of fabric painting and answer any questions that might come up while you are busy practising. When you’ve finished reading the book, you’ll have a good feeling for what fabric painting is and how you’ve responded to it. I am confident that by that point you’ll be ‘hooked’ on the activity; you’ll feel relieved in knowing you’re able to actively relax with fabric painting whenever you’re stressed. Relax creatively with fabric painting! And have fun! Soak in a little New Orleans history while enjoying a visual tour of her homes. Known for beauty and style, New Orleans delivers as much in its architecture, even the simple shotgun houses in working neighborhoods. Houses of the Garden District and plantations beyond are simply stunning. 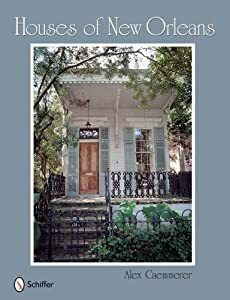 A foreword by John Michael Vlach, Professor of American Studies and Anthropology at George Washington University in Washington, D.C., traces the roots of New Orleans signature homes to their origins in Africa and Haiti. Author Alex Caemmerer takes care to point out the rich detailing that was lavished on even the most simple structures, and how tastes changed and homes evolved over the nineteenth and twentieth centuries.